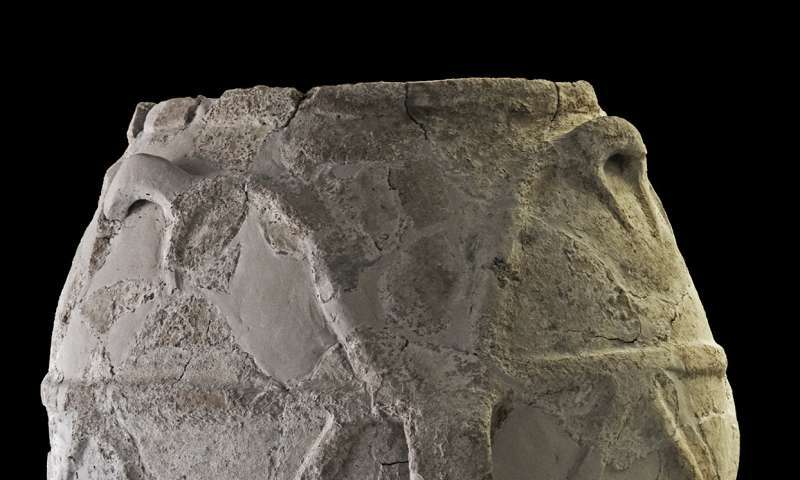 A team of researchers lead by Davide Tanasi, Ph.D., assistant professor of history at the University of South Florida, carried out chemical analyses to identify the content of a large jar, found in the 90s by Giuseppe Voza during the excavations at the site of Castelluccio. Conservators at the Archaeological Museum of Siracusa restored and reassembled 400 ceramic fragments, resulting in an egg-shaped 3 ½ foot storage container adorned with rope bands and three vertical handles on each side. At the same architectural site in Castelluccio in Sicily, researchers found two fragmented basins with an internal septum, indicating it was used to keep multiple substances together, but separate, along with a large terracotta cooking plate.